Samuel Fitz Randolph (1730-????) is #238 on my Ahnentafel List, my 5th great-grandfather, who married #239 Martha Gach (1730-????) 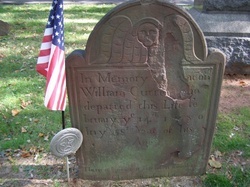 in 1750 in Woodbridge, Middlesex County, New Jersey. * their daughter, #119 Tabitha Randolph (1752-1841) who married #118 Stephen Cutter (1745-1823), before 1769. * their daughter, #59 Sarah Cutter (1785-1878), who married #58 William Knapp (1775-1856) in about 1804. * their daughter, #29 Sarah Knapp (1818-???? ), who married #28 David Auble (1817-1894) in 1844. * their son, #14 Charles Auble (1849-1916), who married #15 Georgianna Kemp (1858-1952) in 1898. According to the Fitz Randolph periodical articles and book by Louise Christian Aymar[1-2], Samuel Randolph's father was apparently Jacob Fitz Randolph, son of Samuel and Mary (Jones) Fitz Randolph. "Samuel Fitz Randolph who married Mary Gach, Oct. 20 1750, and said he was the son of Jacob, and Thomas Gach, Martha's father, certified he had his permission". * Elizabeth and Sarah Eddy, adults. * Tabitha and Mary, daughters of Samuel Randolph (and of Martha (Gach) Randolph). Mary, Elizabeth, John, Sarah, Martha and Esther Gach were all children of Thomas and Elizabeth [Bloodgood) Gach who lived in Woodbridge NJ. Samuel apparently went by the name Randolph, since all records are written without the "Fitz." His daughter, Tabitha Randolph, married Stephen Cutter, and was listed as the daughter of Samuel F. Randolph in the Cutter family history book. It is possible that there are land records for Samuel Randolph, but none have been found to date. There are no known records for the death, estate or burial of Samuel and Martha (Gach) Randolph. 1. Louise Aymar Christian and Howard Stelle Fitz Randolph, The Descendants of Edward Fitz Randolph and Elizabeth Blossom, 1630-1950 (n.l. : n.p.,1950), page 19, Jacob Fitz Randolph sketch, Samuel Fitz Randolph birth entry. 2. Louise Aymar Christian, "Nathaniel Fitz Randolph of Woodbridge, N.J., Quaker, and his Descendants," New England Historical and Genealogical Register, Volume 97, Number 3 (July 1943), pages 275-280; Volume 97, Number 4 (October 1943), pages 330-340; Volume 98, Number 1 (January 1944), pages 42-54; Volume 98, Number 2 (April 1944), pages 124-130; Volume 98, Number 3 (July 1944), pages 227-234., Volume 4, page 336, Samuel Fitz Randolph entry in Jacob Fitz Randolph sketch. 3. Louise Aymar Christian and Howard Stelle Fitz Randolph, The Descendants of Edward Fitz Randolph and Elizabeth Blossom, 1630-1950, page 19, Jacob Fitz Randolph sketch, Samuel Fitz Randolph and Martha Gach marriage birth entry. 4. "New Jersey, Marriage Records, 1670-1965," online indexed database, Ancestry.com (http://www.ancestry.com) , Volume XXII, Marriage Records, 1665-1800, page 161, Marriage License for Martha Gach and Samuel Randol, both of Woodbridge. 5. "Records of St. John's Episcopal Church, Elizabeth N.J., " copied from the official records by Florence E. Youngs, purchased by The Holland Society in 1924, and filmed on FHL Microfilm 1,019,522, Item 2, and published in the Genealogical Magazine of New Jersey in Volumes 3, 6 and 7.